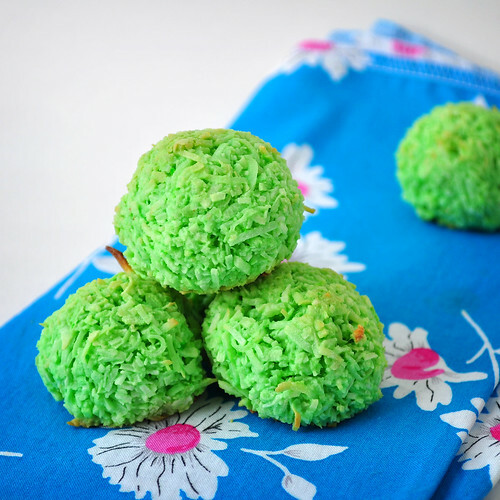 These are spiked coconut macaroons that I had made for St. Patrick's day for work and squirreled a handful for myself for later. Luckily, these get better after they sit for a day or two, though not after a week, then the bell curve of their goodness begins to plunge once more. 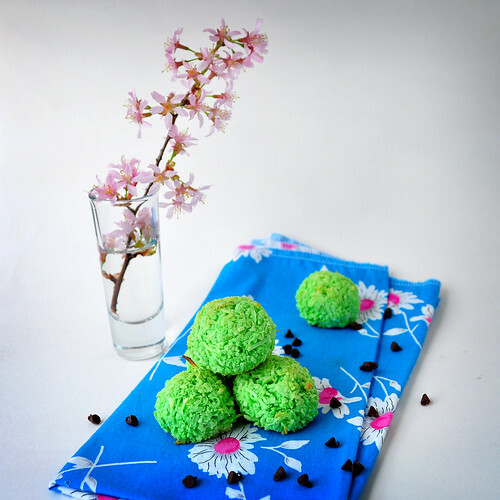 They come together faster then anything you can imagine, they're way less fussy than macarons, their very very very distant cousins, and with a splash of booze and a few drops of green make perfect little treats to celebrate St. Pats. Because, you know, making nothing for a holiday would be a travesty of epic proportions. Though there's also nothing stopping you from just leaving them white, or adding lime juice in place of the booze, or standing on your head when you eat them (or, ahem, talking about them a week after the holiday has passed). Really, get as crazy as you like, they wont mind one bit. - Preheat the oven to 325F. - Combine all the ingredients in a stand mixer bowl and give it a quick stir with a spoon, otherwise when you turn the machine on all the coconut will fly out and hit you in the eye. I'd like to prevent casualties whenever possible. - Mix for a few seconds in the mixer using the paddle attachment, just until everything is evenly distributed. Scoop onto a baking sheet. You can make these into any size you want. 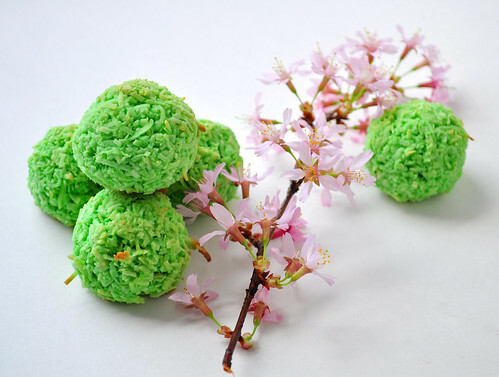 I wanted them smaller so mine are about the size of ping pong balls, but there's nothing stopping you from making tennis ball sized macaroons. Well, unless you fear your dentist (these babies are sweet). - Bake for about 15-20 minutes, depending on the macaroon size, or until the bottoms and just the tips of the top are very light golden color. Don't worry if they still seem soft, let them cool on the baking sheet for 10 minutes and they'll firm right up. - Dip in chocolate if you like or enjoy au naturel.